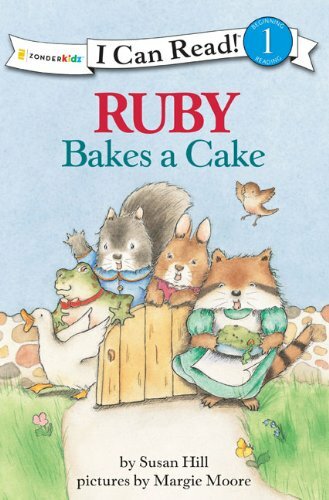 A book illustrated by SpyMomMost people know you as Margie Moore, children's book illustrator, but I know you as Margie Moore, baker extraordinaire. 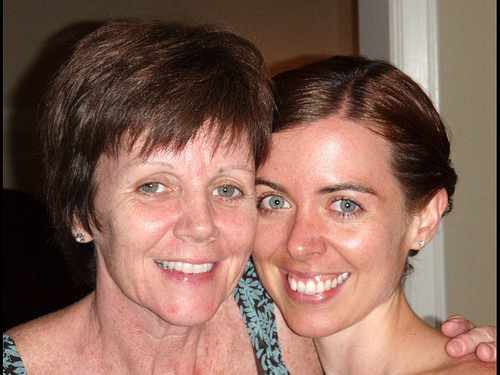 And in honor of Mother's Day, I'd like to share your sweeter side. To start, please, can you tell the story of my first word as a baby? You were a smart little girl so it was not that much of a surprise that during that time when you were trying to formulate words, the first truly recognizable word that came out was....."chaaalllle". Why we knew you meant chocolate was because we were having a family dinner party and of course there was a nice big chocolate cake ready in the kitchen. You have a heartbreaking story of losing the perfect cake slice at a childhood birthday party. Can you tell us that story? Even now, the memory of that moment still pains me! 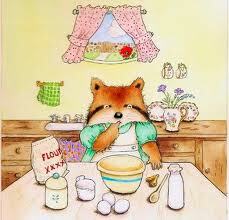 Let’s put it this way, my mother was not a baker. But for my 7th birthday party, she got it into her head to make a sheet cake that looked like a big flying saucer. That is the old Jersey term for a Black & White. Well, my mother nailed this one. All I wanted to get to was the cake that day. So after the Happy Birthday song, my mother carefully cut my chosen perfect piece from the center side of the cake. White cake with a clear line of half chocolate buttercream frosting and half vanilla buttercream....I can still remember my surprise that she even agreed to cut me such a big piece in the first place! And I can still see it on my plate in front of me. Pure bliss. But for some unremembered reason, I got up from the table holding my plate with the piece of cake to throw something in the trash, and all I can think is I must have been in a hurry to get back to the table, which is why not only did the intended item go in the trash, but my coveted piece of cake toppled over into the trash too. Gone. No chance of salvage. Painful. Next I remember my mother showing me there was still another piece with the same half chocolate half vanilla combination, but it was not the same. It did not have the perfect creamy peaks of snow like white frosting and rich chocolate next to it....just not the same. When you truly want to treat yourself, what sweet treat do you indulge in? The top treat in my world is good chocolates. 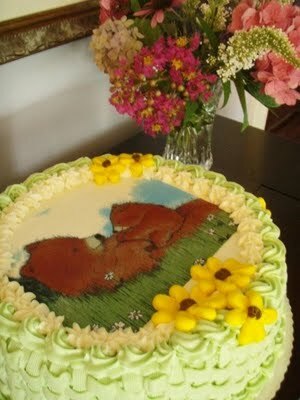 A cake with SpyMom's artwork on it!You are someone who appreciates both the taste and the visual of a wonderful cake. Tell me, what are some of your favorite treats to look at? Do you also like to eat them? There is no match for a beautiful cake with buttercream flowers. And then well done pastries and hand dipped chocolates. And yes, I love to eat them. What baked good (or flavor) could you just live without? Why? Who are some of the people, cookbooks, or bakeries that inspire your baking? Cookbooks from the 1930’s and 40’s have great basic recipes and even better presentation photos of baked goods, the newer cookbooks have better information on how to be successful with baking. My most worn out cookbook is my Fanny Farmer Cookbook that I bought in a candy shop 36 years ago. The recipes in that book reminded me the old fashioned Sunday dinner meals and desserts and I love to recreate that feeling. The flavors of the finished recipes are very pleasing too. A cake baked and decorated by SpyMomTell me one of your proudest baking moments. The first time I made a three tier cake, decorated with buttercream roses and decorative swags. Heaven! 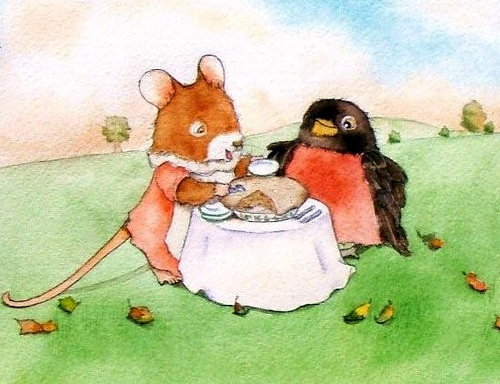 More art by SpyMomAnd, since it seems to be the subject of the moment: pie or cake? SpyMom and CakeSpyFor more Margie Moore awesome, visit her website here, or shop for books she's illustrated here . Her artwork is also featured on the cover of BabyBug Magazine (on Newsstands everywhere!) this month!